I’ll never forget the time, back in the day, when a top recruiter showed up in my team. I thought I had caught the “whale”. I started to see this surge in my check, I was literally “making money while you sleep”, and for a while there I thought I “hit the jackpot”! Fewwff…. None of us like to admit when we’re wrong, (or that we may not have the right mindset), but I learned my lesson. I found out later, throughout the year, that this woman was kind of a “pressure closer”. I soon found myself always trying to convince her to give me her contact’s info, so I could build a relationship with them and do “damage control”. The had recruited over 150 people in less than a year, but the people she recruited couldn’t, (and wouldn’t) push other people into the business like she would, so naturally, there wasn’t any great amount of sustainable duplication. She would pressure them so hard to work, that she would blow them right out of the water almost immediately. I was investing tons of time and money flying back and forth to Australia, constantly trying to “fix the leak” as she would blow them out, one by one. This was one of my first lessons in “top recruiting vs top earning”. This past week, I was talking with another top earner friend of mine in a big fast-growing network marketing company. We recently started working together to take her business building efforts online, to add to the incredible success she’s had offline. What I found was making me totally smile, because now I’m more of an ONLINE recruiting advocate, but I was in total agreement with how she had built her business OFFLINE! So many of the things I hated about traditional network marketing, she hated too! LOL! She didn’t believe in making a list of 100 closest friends and family and pitching them about the business! I told her about always feeling anxious when I was out at dinner with family because I was compelled to prospect the waitress the whole time, and we both LOL’ed! She firmly said, “If I’m out with my family, I have 100% attention on my family. When I’m building my business, I’m 100% focused on my business”. She said, “I’m sorry, but if someone is just complaining about their crappy boss, it shouldn’t automatically qualify them enough for you”. We’ve been told the same ol’ 3 things for YEARS in network marketing, but for *most people that I’ve seen, it doesn’t work. I build my business so different now, that most of my friends and family has NO IDEA what I do, what opportunity I’m involved with, or what products I even sell. I bet even still today, as far as they know, I’m at the top of my old “pyramid”, and thankfully don’t bother all of them anymore! hahha! Anyway, in my experience, the highest earners in network marketing are usually NOT necessarily the top recruiters in any company, because a legitimate company does not pay you by the “head count”. You actually get paid from the VOLUME that you cause,moving in the market place, and if you have the skills and ability to teach and train others to do the same, you are paid greatly. If you’re a top EARNER, you know that you must grow your organization IN DEPTH, and NOT just in WIDTH. It’s built in strong quality leadership that produces volume and captures market share. The true secret to building a stable 6- and 7-figure business in network marketing (or any other business for that matter) is actually to have greater emphasis on QUALITY leadership over QUANTITY of heads. I personally have sponsored less than 50 people into my opportunity, yet I have an international organization which stretches across The States, Canada,Europe, Oz, and Latin America. Many of my good mentors and friends have built a growing multiple 6-figure business in less than 2 years having only sponsored 15-20 or so people into their personal business. c) There’s no real emphasis on product VOLUME, because there is so much emphasis on simply “getting a couple people to get a couple people”! So can top recruiters also be top earners? Yeah for sure, but you’ll find that the highest earners will focus more on training & time investment building skilled leaders. That’s why you may not want to bother bother building your big list of 100. You should know that most of them won’t make good builders! You can be extremely selective. You can qualify people rather than try to recruit them right away. After you TRULY believe they are winners, or you discover they’ve been successful in another area, you can invite them to look at your business and invest the time. Really, most people just make great customers! In fact, better would be to make a list of 100, but for consumers/customers for you! 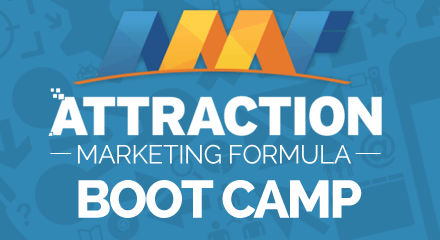 So first, I want to share with you what Attraction Marketing is NOT! Attraction marketing is not spamming or messaging everyone on social media like you may have been told. I’m not talking about private messages to your acquaintances, and posting your links on people’s desktop feed, lol! Most people have been approached with something on social media, and everyone really hates that spam strategy now and if you’re currently doing that, please STOP, they’re now IMMUNE to it! I can’t tell you how many heads in network marketing think they are doing “Internet Marketing”, by sending dozens or hundreds of private messages to strangers every dang day! Attraction Marketing is a completely passive activity. This means that you aren’t messaging everyone. Instead, you can actually get better qualified entrepreneurs to send YOU their contact information, because they already want to learn more about your opportunity. Still, just because someone shows interest in your business, that doesn’t mean you’re gonna recruit them right away. In my experience and belief, they must demonstrate to me that they are a good fit for my business and this is done using something we call a ‘funnel.’ This is how you can “sift and sort” like the pros! (Opposite of convincing and selling like the amateurs)! The big challenge with doing this offline for most people, is that you better be a person who can command a certain level of respect. Plus, this isn’t “leveraged” or passive activity – it’s more “linear”. It’s a whole different situation online because when a qualified prospect requests information from you, you already have good posture. They came to YOU, and they have already told you that they are interested in what you have to offer. On top of that, they’re actually pretty damn impressed that they found you online, and immediately want to know how you did it! My wife and I generate many leads of interested entrepreneurs, every day, but only a small amount of them qualify to be leaders in our business. Today, all the highest earners are using Attraction Marketing, because it’s important to adapt to the new changing ways of building a network marketing business, and it’s all online, leveraging with the internet. You now see that all the top networkers have a massive online presence. Marc Frank Montoya was a world-class international professional snowboarder for over 16 years. Living an extraordinary lifestyle, he could not go back to a "the norm" and was psychologically un-employable. Launching businesses, he quickly realized the stress, responsibility, lack of freedom, less travel, and most painful of all, less quality time with his kids. Searching for solutions and investing into personal and financial development, he found Home Business. "Done wrong, it's a nightmare. Done RIGHT it's a DREAM". Marco now helps entrepreneurs brand themselves and market their business online, from anywhere in the world.